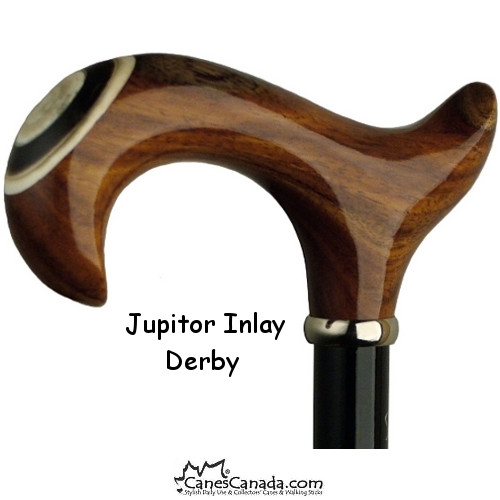 Jupiter Derby with Inlay - With this timeless inlay design, the Jupiter Derby is a cane with true distinction. 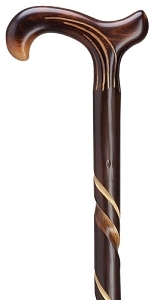 The beautiful handle has a unique inlayed design mounted on a maple wood shaft that has been painted with 7 layers of black lacquer to create an elegant and sophisticated cane. One of our best sellers. 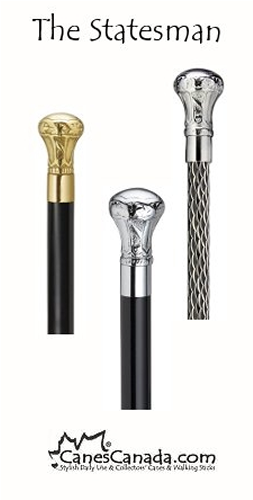 A cane is more than just a walking aid, it is an important part of our overall appearance which is why finding the right cane is so important to our customers. 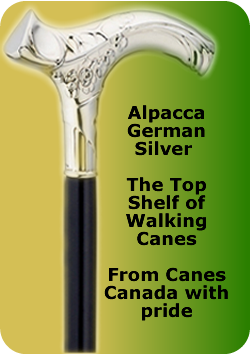 We want you to be proud to use a cane that keeps you looking your best and keeps you safe. 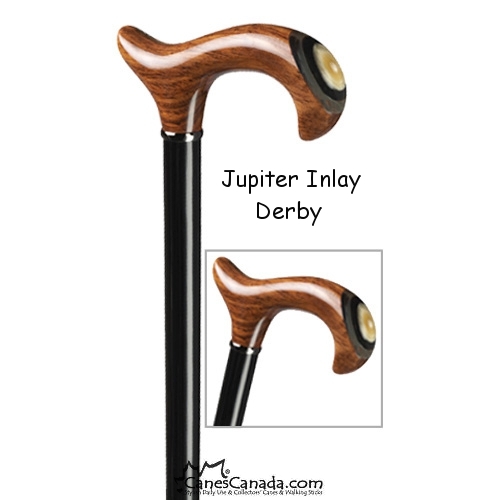 The quality of Craftsmanship and finish on my new Jupiter Derby Cane is outstanding, a function device with an pleasing appearance that can transform easily itself from casual to formal surroundings. 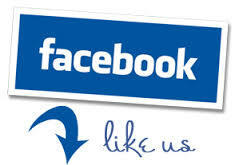 This bespoked, robust extension has greatly helped with my mobility issues which I'm truly grateful for. Thank You Canes Canada. 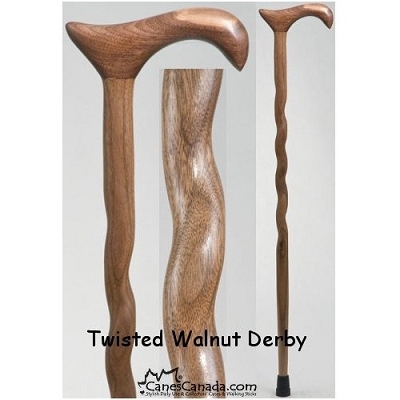 This is the second cane I have bought from Canes Canada in the last 5 years and both have been great. 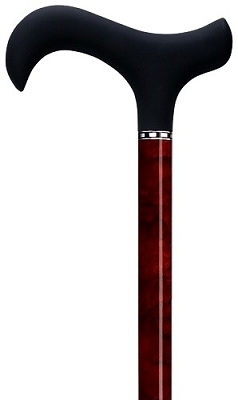 This one is a sharp looking cane that also seems quite strong.It came with the length I specified and fits great.